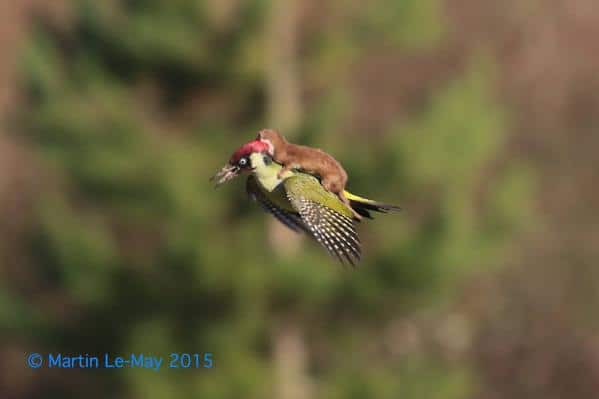 Blackbird Hitching A Ride On A Hawk – Rare Photo. Check out this rare sight: A red-winged blackbird hitching a ride on a red-tailed hawk that Mike White spotted while visiting DeSoto and Boyer Chute National Wildlife Refuges in Iowa and Nebraska. We see territorial blackbirds (among others) dive-bombing raptors, but this is definitely something you don’t see every day. Photo courtesy of Mike White. This surely doesn’t happen often and to catch the moment on a photograph in such pose, you surely need to be very lucky. According to refuge manager Tom Cox, “The picture most likely captures a perfect moment during a fight between a blackbird and a hawk—and that blackbirds attacking and harassing hawks is actually quite common.” This is usually to identify and harass a predator away from a territory. And in-case you are wishing to see more such encounters, here are the previous encounters. 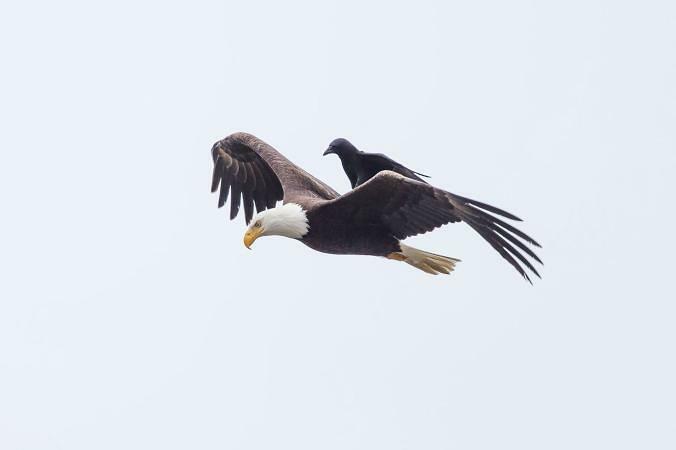 Photos from California-based photographer Phoo Chan show a crow nestled on a flying eagle’s back. But the crow was likely looking to do more than catch a lift. It was actually attacking the eagle. 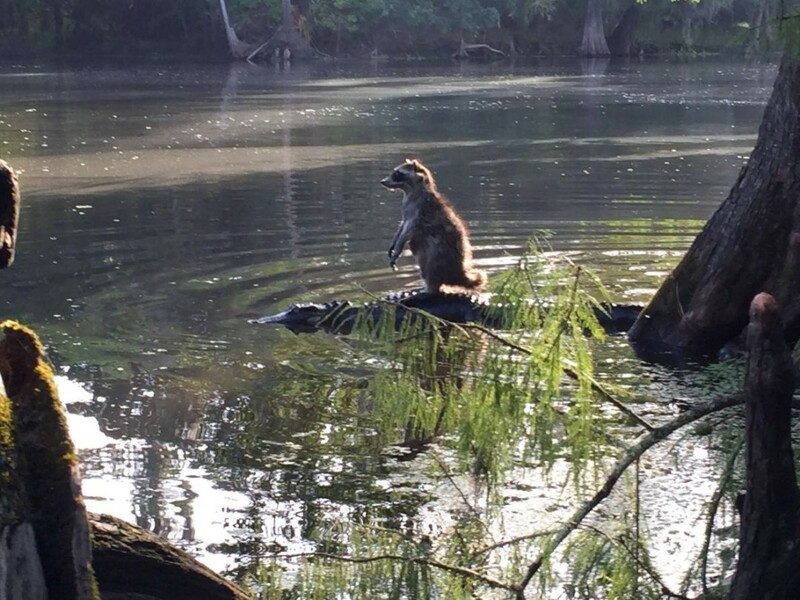 Now here is Raccoon riding an alligator in Florida. Richard Jones was lucky to be at the right spot at the right time. Jones told several local media outlets that he took the picture while walking in the Ocala National Forest with his family. Raccoon Rides Alligator in Florida : This was Real !! What new things we are going to witness soon? I have photos of a Red-winged Blackbird riding on a Red-tailed Hawk, if you would like to attach them to this post.